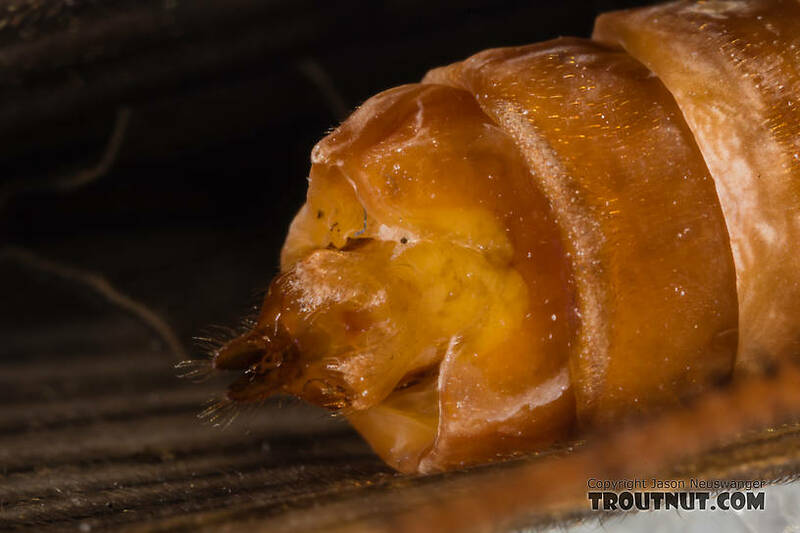 I've been hoping to add a really good October Caddis to the photo collection here for years, but so far I had struck out on finding them on the river. 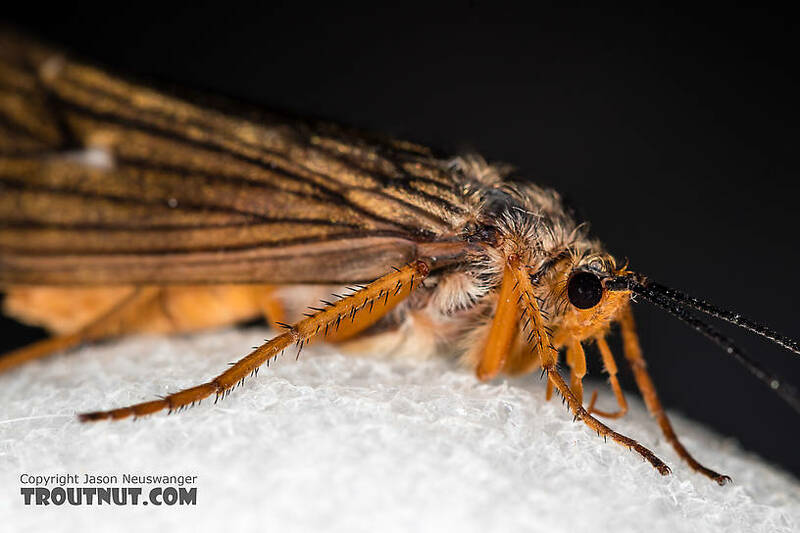 Tonight, this one flew into the kitchen during a pizza party at a house along the river, and was quickly pointed out -- one of the perks of hanging out with other aquatic biologists! 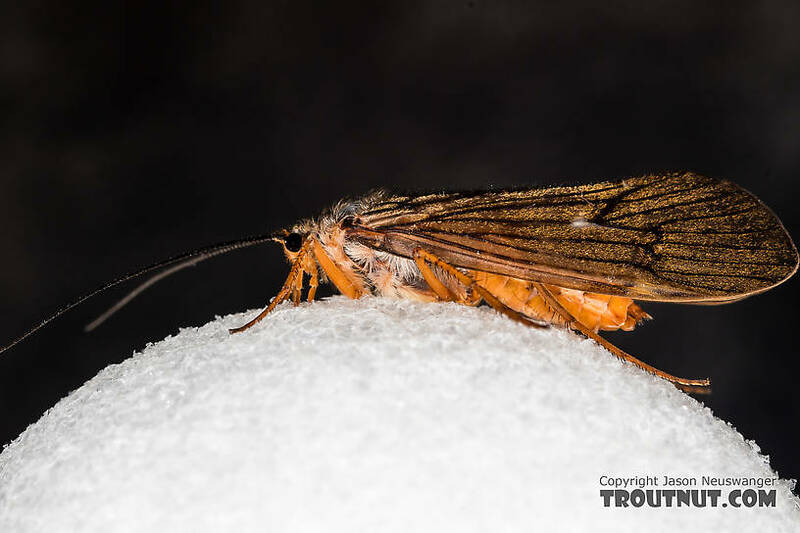 Maybe next year I can finally get a salmonfly on taco night or something. 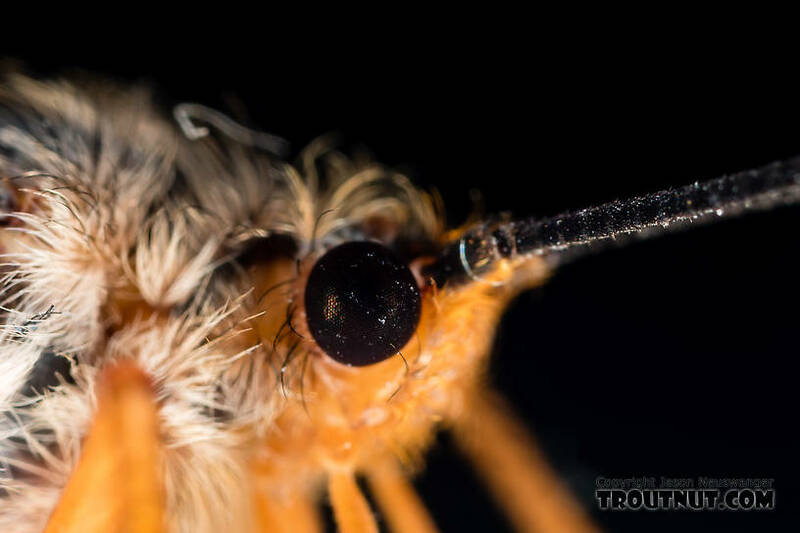 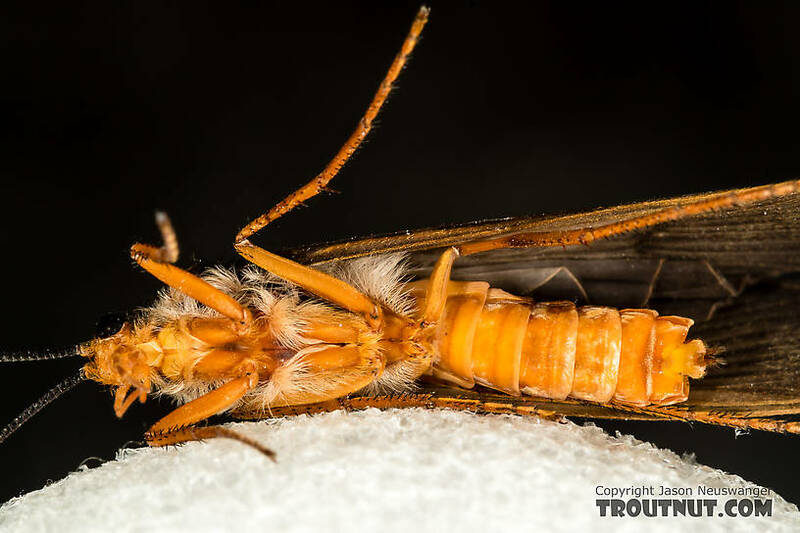 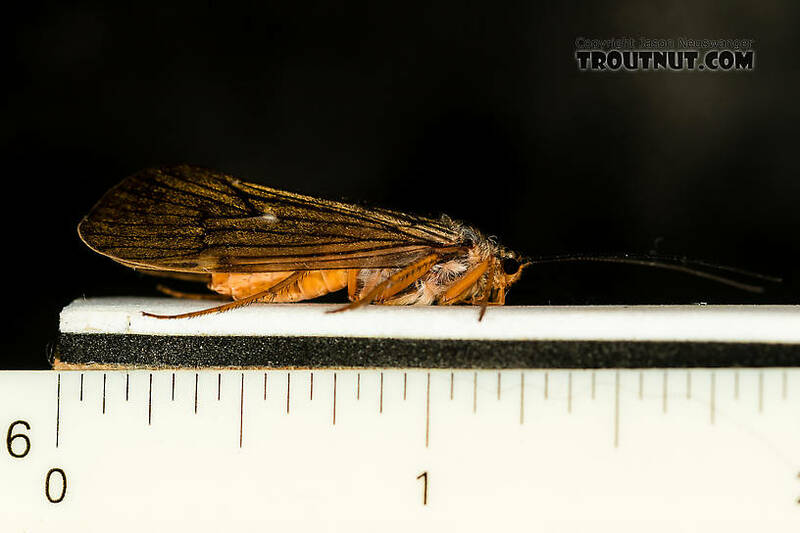 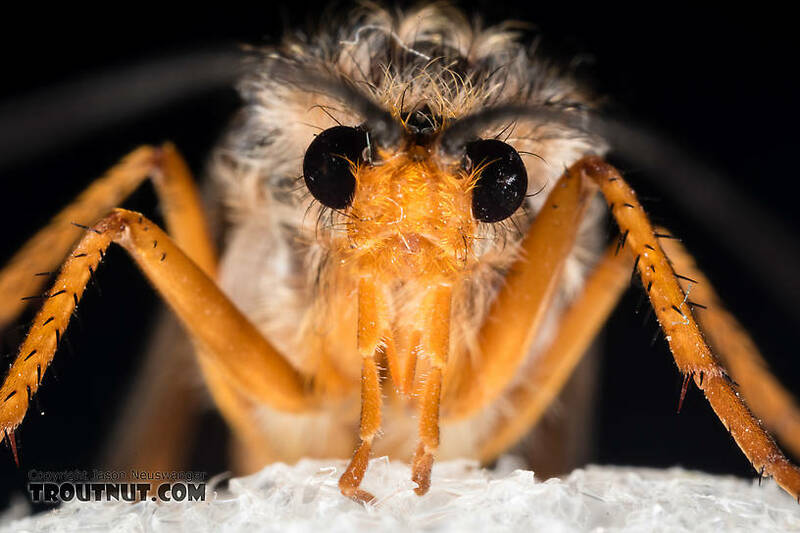 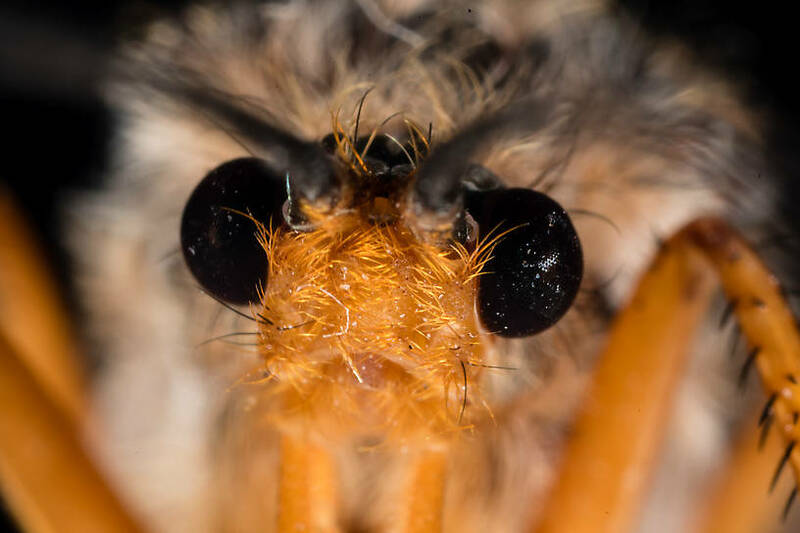 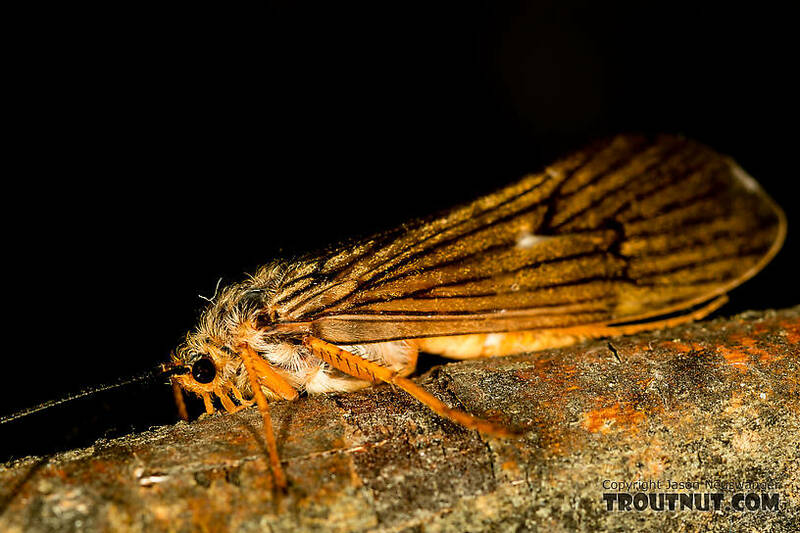 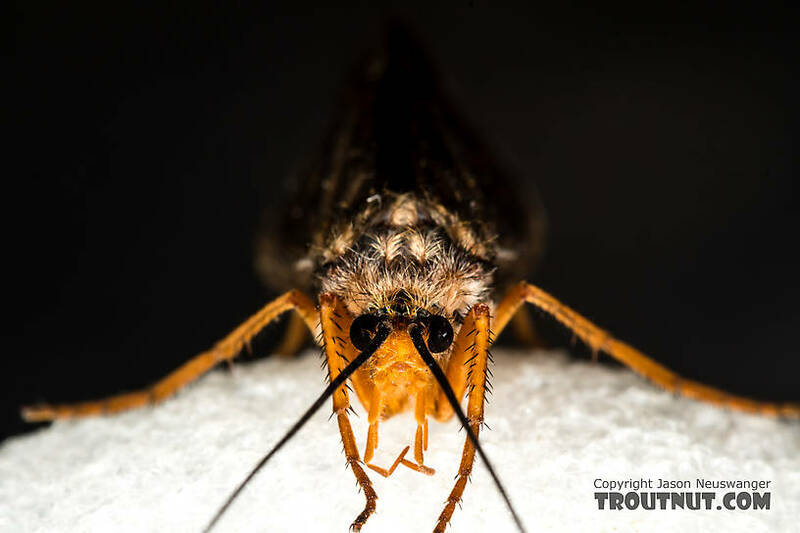 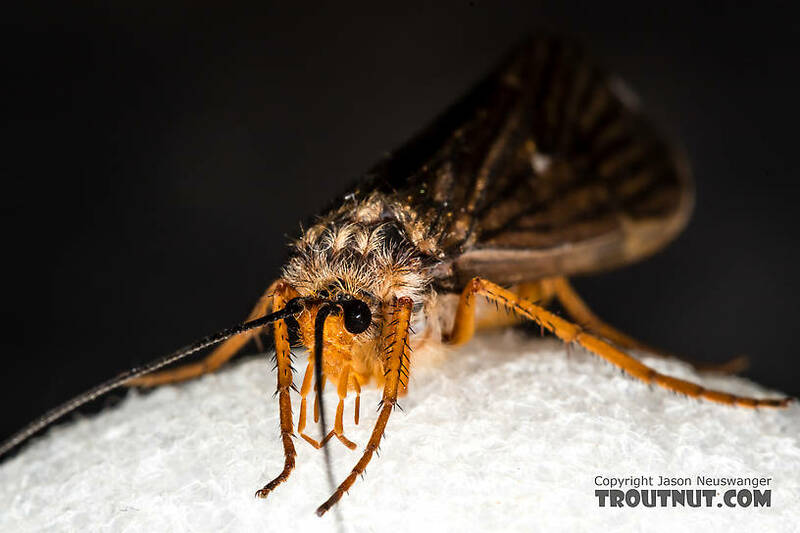 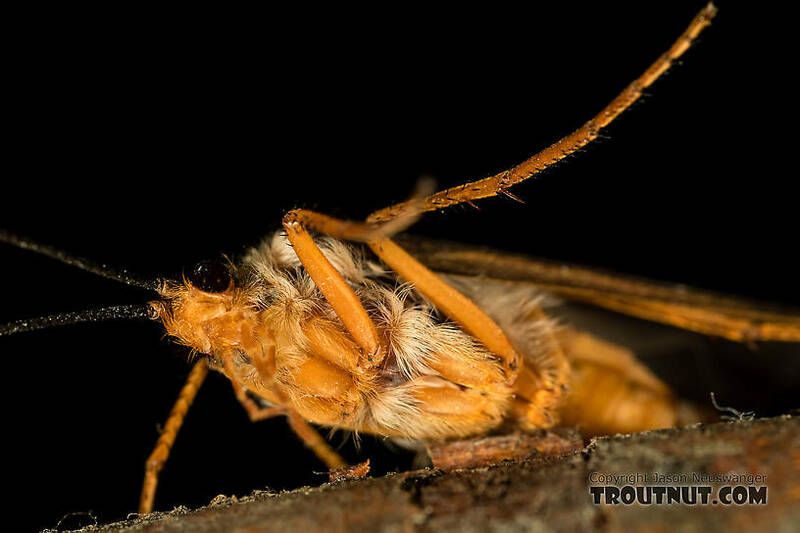 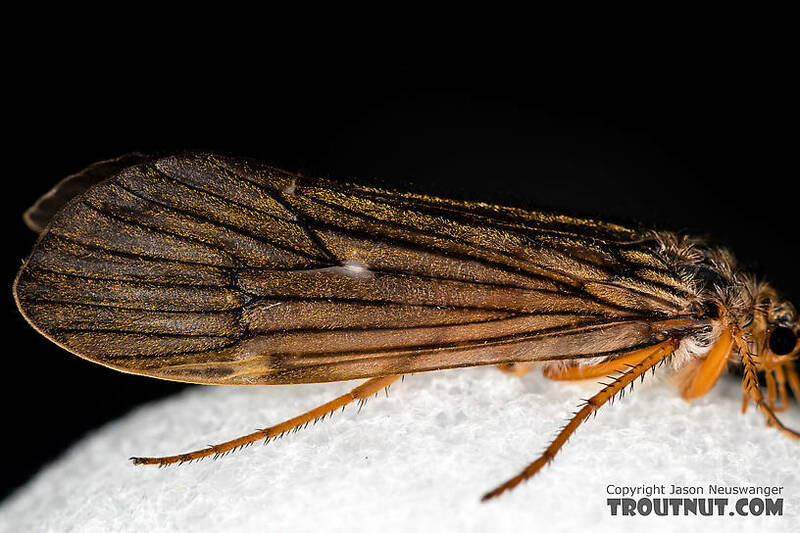 This caddisfly was collected from the South Fork Snoqualmie River on September 29th, 2017 and added to Troutnut.com on September 29th, 2017. 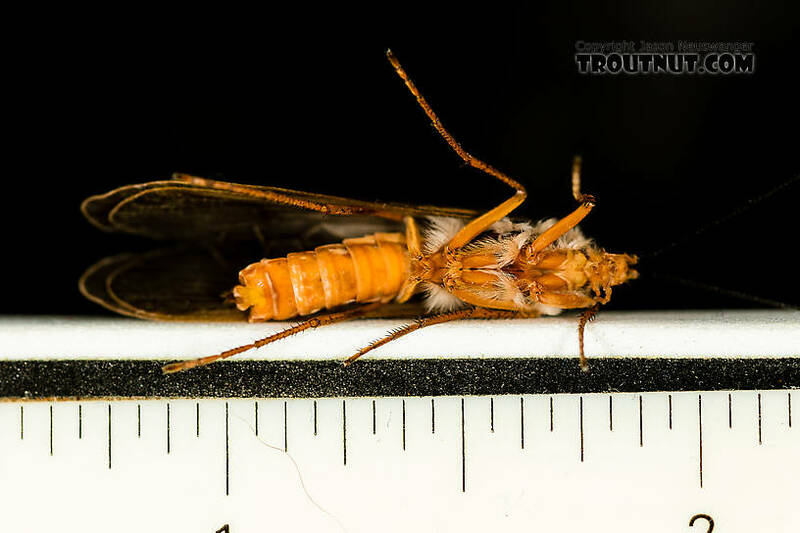 The tick marks here are 1/16th inch. 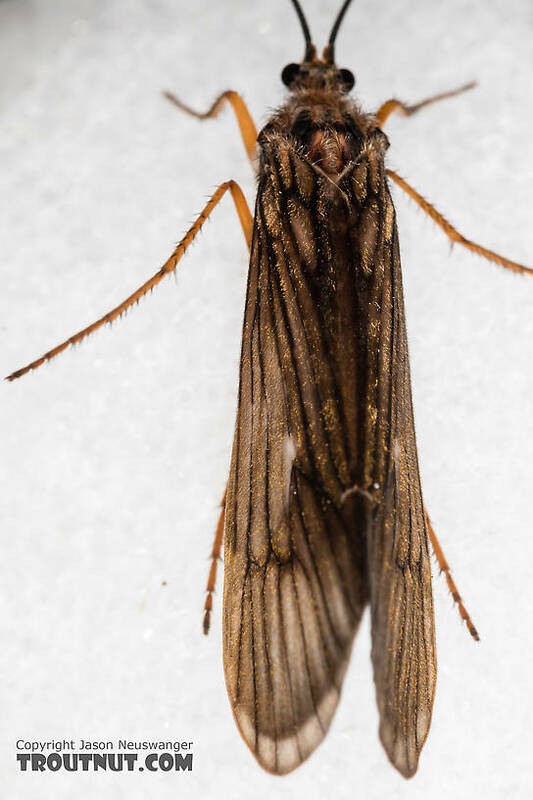 I measured with a caliper that the fore wings were 27 mm long and the body was 21 mm long. 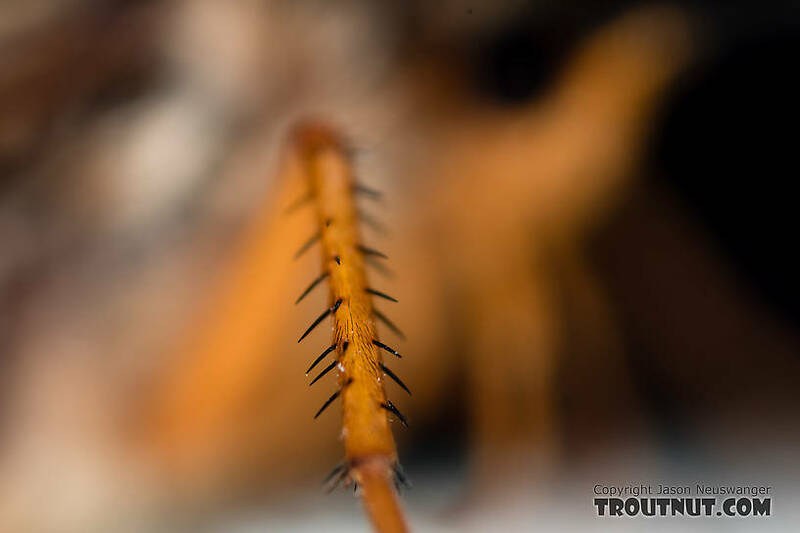 Overall length was about 29 mm.